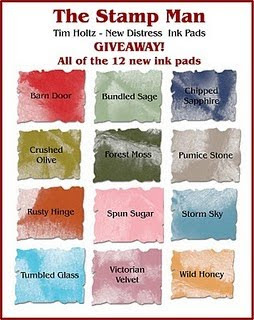 Nana's Place: Giveaway: All 12 New Tim Holz Distress Ink Pads or Re-inkers!! Oh my - these shades are gorgeous-I hope, I hope, I win! !